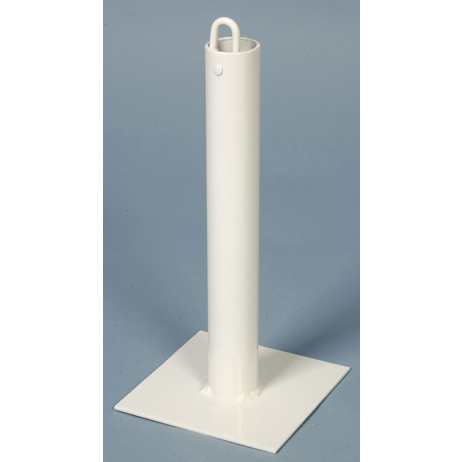 Ground socket with hook and plastic cap, comes with wire and snap hook. Suitable for synthetic or grass surfaces when concreted in. Ideal when ground conditions are poor i.e. sandy based soils.